A common misconception is that historical ruins are only for a) nerds or b) archeologists. Ruins offer great insight into the culture of any place and at the very least are always pretty to photograph. Some ruins aren’t always as easily accessible and visiting is as much about the journey as the actual remains itself. While some ruins turn out to be overrated tourist traps that you are only able to view from far and are disappointing in person (ahem Stonehendge ahem), we promise you that the list of ruins below are worth the hype. We promise you, this is one of the best sites you’ll ever visit. No introduction necessary as this is the ultimate ruin to visit. If ruins were handbags, then this would be the Hermes Birkin. This 550 year old citadel is also known as the “Lost City of the Incas”. Located between two Andean mountains and surrounded by fog, this Inca ruin is both magical and mythical. Not much is know about the Incas, they had no script and written report. 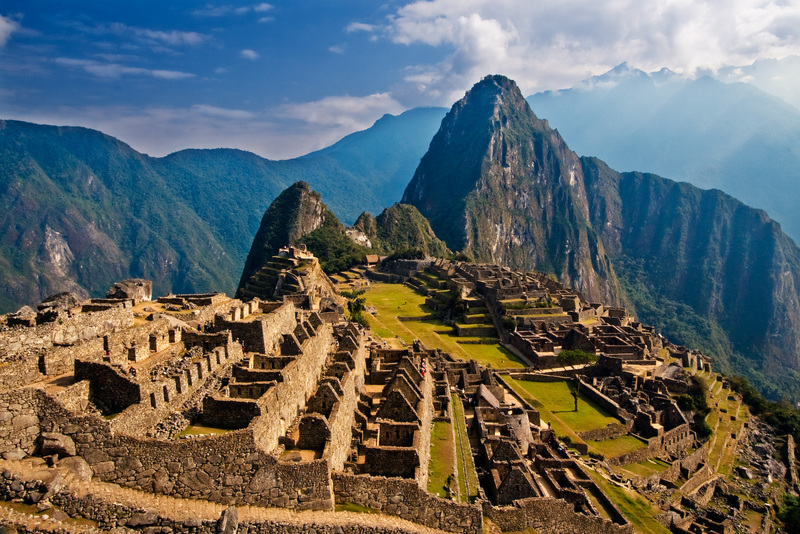 In fact, archeologists aren’t certain when Machu Picchu was even built although they have a vague idea why; former palaces and religious sanctuaries believed to be an estate for emperor Pachacuti. Not as much walking involved (thank heavens). Crowning the city of Athens, the Acropolis or “High City” in Greek, appears to be reaching the clouds. This ancient Greek site comprises several structures such as the Parthenon, the Temple of Athena Nike, the Propylaea and the Erqchtheion. Dedicated to Athena, the Parthenon is the most important building preserved from the classical Greek period and naturally also the most visited. Erqchtheion with the stunningly carved Porch of the Caryatids, is an equally incredible sight not to be missed. Buddy up, it’s so easy to get lost in here. Our list wouldn’t be complete without the largest amphitheater in the world. When completed in A.D. 80, the arena held 50,000 spectators who watched mythology-based dramas and reenactments of land and sea battles as well as executions, fights-to-the-death among gladiators, and the ghastly slaughter of wild animals. 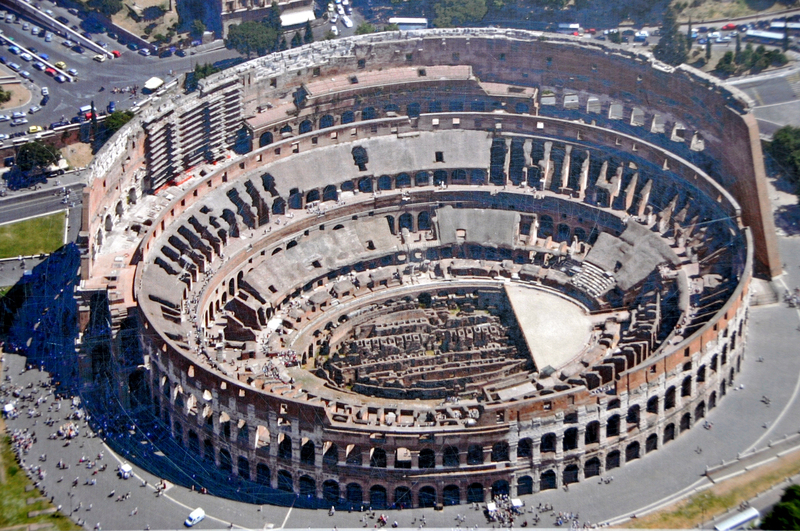 The underground pits where those gladiators awaited their demise were opened to visitors in 2010 along with the 110- foot-high upper ring of seats, which offer panoramic views of the Eternal City. When in Siem Reap, here’s how to have fun, and how to get by the huge crowds. Most of us know Angkor Wat as the ancient ruin featured in Lara Croft’s Tomb Raider. Spanning a vast 250 miles, Angkor Wat is the world’s largest religious monument. The seat of the Khmer Empire, Angkor Archaeological Park is now a huge collection of ruined temples and grounds dating between 9th and 15th century. Originally dedicated to Hindu gods and cosmology, the site eventually became a Buddhist pilgrimage site. Oriented toward the west, the temple’s five conical towers are arranged to form a huge lotus bud. Other highlights in the park include, which wasdeliberately left unrestored and tangled in the tropical undergrowth. Heading to China? Here are some need-to-know tips from yours truly. Last on our list is the only structure on Earth visible from the Moon — the Great Wall of China. It stretches for 5,500 miles across China, and its most beautiful section happens to be easily accessible within 70 miles of Beijing. While much of what is visible today was built during the Ming Dynasty (1368–1644), construction began on various sections as far back as 770 B.C when it became the world’s largest military structure. Visitors can admire the watchtowers and ramparts that Chinese soldiers used as a vantage point centuries ago. Feeling inspired to travel the world?